In conformity with the traditional structure of international law, violations are considered to have been committed by States and measures to stop and repress them therefore must be directed against the State responsible for the violation. Such measures can be foreseen in IHL itself, in the general international law of State responsibility, or under the UN Charter, the “constitution” of organized international society. Before violations can be repressed, they have, of course, to be ascertained. The Conventions provide that an enquiry must be instituted into alleged violations if requested by a party to the conflict. However, the procedure has to be agreed on between the parties. Experience shows that such an agreement is difficult to reach once the alleged violation has occurred – in particular between parties fighting an armed conflict against each other. Art. 90 of Protocol I therefore constitutes an important step forward, as it establishes the International Humanitarian Fact-Finding Commission and its procedure. The Commission is competent to enquire into alleged violations of one party at the request of another party if both parties agree on its competence, either on an ad hoc basis or by virtue of a general declaration. The Commission has declared its readiness to act in non-international armed conflicts as well, if the parties concerned agree. In conformity with the traditional approach of IHL, the enquiry is based on an agreement between the parties, and the result will only be made public with their consent. This may be one of the reasons why no request for an enquiry has ever been brought before the Commission, although some 70 States have made a general declaration accepting its competence. States have preferred to impose enquiries through the UN system, which produces a published report, or to establish ad hoc commissions of enquiry, but the results have not been much more convincing. In the event of a dispute, all means afforded by international law for the peaceful settlement of disputes are available. A conciliation procedure involving the Protecting Powers is foreseen, but needs the agreement of the parties. The Protecting Power system itself is an institutionalization of good offices. The general problem, however, is that a peaceful settlement of disputes on points of IHL between parties who prove by their participation in an armed conflict that they have been unable to settle their disputes in respect of jus ad bellum peacefully would be an astonishing occurrence and only rarely succeeds. Therefore, the use of coercive measures which can only be taken through the UN system seems more promising, but risks mixing jus ad bellum and jus in bello. Such a mix-up is natural for the UN, as its main role is to ensure respect for jus ad bellum, but it jeopardizes the autonomy, neutrality and impartiality required for the application of IHL. When a violation occurs, not just the injured State, which is the direct victim, but – under common Art. 1 and the general rules on State responsibility – every State may and indeed must take measures to restore respect. Those measures must themselves conform to IHL and to the UN Charter and must be taken in cooperation with the UN as the frail embryo of a centralized international law enforcement system. Cooperation between all States, however, does not mean that no reaction to violations is possible in the absence of a consensus. In keeping with the rules of the law of State responsibility, IHL recalls the general obligation to pay compensation. According to a majority of writers and court decisions, this implies, in conformity with the traditional structure of international law, that the State responsible for the violation has to compensate the State injured by the violation; it does not confer a right to compensation on the individual victims of violations. This traditional implementation structure is at variance with internal armed conflicts, as in such cases victims of violations are often nationals of the State concerned. Thus, for a growing number of violations, International Human Rights Law requires that the State make reparation directly to the beneficiary of the rule. For the rest, IHL prescribes some changes to the general rules on State responsibility (or makes clear that certain of its exceptions apply in this branch). It holds the State strictly responsible for all acts committed by members of its armed forces; it prohibits reprisals against protected persons and goods and the civilian population, reciprocity in the application of IHL treaties being excluded by the general rules; and it makes clear that, as the rules of IHL are mostly jus cogens, States may not agree to waive the rights of protected persons nor may the latter renounce their rights. 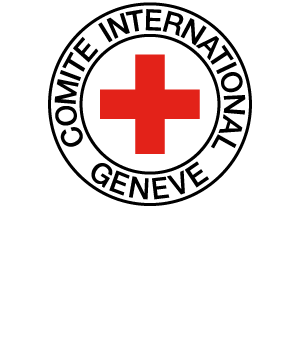 Finally, as IHL is intended for application in armed conflicts, which are by definition emergency situations, and as many armed conflicts are fought in self-defence, while the same IHL must apply to both sides, necessity (except where explicitly stated otherwise in some of its rules) and self-defence are not circumstances precluding the wrongfulness of IHL violations. KLEFFNER Jann K., “Improving Compliance with International Humanitarian Law through the Establishment of an Individual Complaints Procedure”, in Leiden Journal of International Law, Vol. 15/1, 2002, pp. 237-250. PELLET Alain, “Can a State Commit a Crime? Definitely, Yes!”, in EJIL, Vol. 10/2, 1999, pp. 425-434. QUIGLEY John, “State Responsibility for Ethnic Cleansing”, in UC Davis Law Review, Vol. 32/2, 1999, pp. 341-387. SASSÒLI Marco, “State Responsibility for Violations of International Humanitarian Law”, in IRRC, No. 846, June 2002, pp. 401-434. VITÉ Sylvain, Les procédures internationales d’établissement des faits dans la mise en œuvre du droit international humanitaire, Brussels, Bruylant, 1999, 485 pp. STEWART James G., “The UN Commission of Inquiry on Lebanon: A Legal Appraisal”, in Journal of International Criminal Justice, Vol. 5, No. 5, November 2007, pp. 1039-1059. CONDORELLI Luigi, “La Commission internationale humanitaire d’établissement des faits : un outil obsolète ou un moyen utile de mise en œuvre du droit international humanitaire ?”, in IRRC, No. 842, June 2001, pp. 393-406. HAMPSON Françoise, “Fact-finding and the International Fact-Finding Commission”, in FOX Hazel & MEYER Michael A. (eds), Armed Conflict and the New Law, Vol. II, Effecting Compliance, London, The British Institute of International and Comparative Law, 1993, pp. 53-82. KRILL Françoise, “The International Fact-Finding Commission: The ICRC’s Role”, in IRRC, No. 281, March-April 1991, 19 pp. KUSSBACH Erich, “Commission internationale d’établissement des faits en droit international humanitaire”, in RDMDG, Vol. 20/1-2, 1981, pp. 89-111. MIKOS-SKUZA Elzbieta, “The International Humanitarian Fact-Finding Commission: an Awakening Beauty?”, in Frieden in Freiheit = Peace in Liberty = Paix en liberté: Festschrift für Michael Bothe zum 70 Geburtstag, Baden-Baden, Nomos; Zürich, Dike, 2008, pp. 481-492. MOKHTAR Aly, “To Be or not to Be: The International Humanitarian Fact-Finding Commission”, in Italian Yearbook of International Law, Vol. 12, 2002, pp. 69-94. ROACH John A., “The International Fact-Finding Commission: Article 90 of Protocol I Additional to the 1949 Geneva Conventions”, in IRRC, No. 281, March-April 1991, pp. 167-189. KUSSBACH Erich, “The International Humanitarian Fact-Finding Commission”, in ICLQ, 1994, pp. 174-185. REINISCH August, “The International Fact-Finding Commission to Article 90 Additional Protocol I to the Geneva Conventions and its Potential Enquiry Competence in the Yugoslav Conflict”, in Nordic Journal of International Law, Vol. 65, 1996, pp. 241-255. BLISHCHENKO Igor P., “Responsibility in Breaches of International Humanitarian Law”, in International Dimensions of Humanitarian Law, Geneva, Henry-Dunant Institute/UNESCO, 1986, pp. 283-296. BOISSON DE CHAZOURNES Laurence, QUÉGUINER Jean-François & VILLALPANDO Santiago (eds), Crimes de l’histoire et réparations : les réponses du droit et de la justice, Brussels, Bruylant, 2004, 401 pp. AN-NA’IM Abdullahi Ahmed, “Toward a Universal Doctrine of Reparation for Violations of International Human Rights and Humanitarian Law”, in International Law Forum, Vol. 5/1, February 2003, pp. 27-35. BIERZANEK Remigiusz, “The Responsibility of States in Armed Conflicts”, in Polish Yearbook of International Law, Vol. 11, 1981-1982, pp. 93-116. D’ARGENT Pierre, Les réparations de guerre en droit international public. La responsabilité internationale des États à l’épreuve de la guerre, Brussels, Bruylant, 2002, 902 pp. GILLARD Emanuela-Chiara, “Reparation for Violations of International Humanitarian Law”, in IRRC, No. 851, September 2003, pp. 529-553. LA ROSA Anne-Marie & PHILIPPE Xavier, “Transitional Justice”, in CHETAIL Vincent (ed. ), Post-conflict Peacebuilding: a Lexicon, Oxford, OUP, 2009, pp. 368-378. RONEN Yaël, “Avoid or Compensate? Liability for Incidental Injury to Civilians Inflicted During Armed Conflict”, in Vanderbilt Journal of Transnational Law, Vol. 42, No. 1, 2009, pp. 181-225. RONZITTI Natalino, “Access to Justice and Compensation for Violations of the Law of War”, in FRANCIONI Francesco, Access to Justice as a Human Rights, Oxford, OUP, 2007, pp. 95-134. SASSÒLI Marco, “Reparation”, in CHETAIL Vincent (ed. ), Post-conflict Peacebuilding: a Lexicon, Oxford, OUP, 2009, pp. 279-291. ZEGVELD Liesbeth, “Remedies for Victims of Violations of International Humanitarian Law”, in IRRC, No. 851, September 2003, pp. 497-527. BOELAERT-SUOMINEN Sonja A.J., “Iraqi War Reparations and the Laws of War: A Discussion of the Current Work of the United Nations Compensation Commission with Specific Reference to Environmental Damage During Warfare”, in ZaöRV, 1995, pp. 405-483. McCARTHY Conor, “Reparation for Gross Violations of Human Rights Law and International Humanitarian Law at the International Court of Justice”, in Reparations for Victims of Genocide, War Crimes and Crimes against Humanity: Systems in Place and Systems in the Making, Leiden, M. Nijhoff, 2009, pp. 283-311. CONDORELLI Luigi, “L’imputation à l’État d’un fait internationalement illicite : solutions classiques et nouvelles tendances”, in Collected Courses, Vol. 189/VI, 1984, pp. 9-222. SANDOZ Yves, “Unlawful Damages in Armed Conflicts and Redress Under International Humanitarian Law”, in IRRC, No. 339, May 1982, pp. 131-154. TALMON Stefan, “The Responsibility of Outside Powers for Acts of Secessionist Entities”, in ICLQ, Vol. 58, Part 3, July 2009, pp. 493-517. MACCOUBREY Hilaire, “The Nature of the Modern Doctrine of Military Necessity”, in RDMDG, 1991, pp. 215-252. ROMANO John-Alex, “Combating Terrorism and Weapons of Mass Destruction: Reviving the Doctrine of a State Necessity”, in The Georgetown Law Journal, Vol. 87/4, 1999, pp. 1023-1057. Paragraphs 1 to 3 do not apply to provisions relating to the protection of the human person contained in treaties of a humanitarian character, in particular to provisions prohibiting any form of reprisals against persons protected by such treaties. PREUX Jean de, “The Geneva Conventions and Reciprocity”, in IRRC, No. 244, January 1985, pp. 25-29. MEYROWITZ Henri, “Die Repressalienverbote des I. Zusatzprotokolls zu den Genfer Abkommen vom 12. August 1949 und das Reziprozitätsprinzip”, in Neue Zeitschrift für Wehrrecht, 1986, pp. 177-193. BIERZANEK Remigiusz, “Reprisals as a Mean of Enforcing the Laws of Warfare: The Old and the New Law”, in CASSESE Antonio (ed. ), The New Humanitarian Law of Armed Conflict, Napoli, Editoriale Scientifica, Vol. I, 1979, pp. 232-257. DARCY Shane, “The Evolution of the Law of Belligerent Reprisals”, in Military Law Review, Vol. 175, March 2003, pp. 184-251. GREENWOOD Christopher, “The Twilight of the Law of Belligerent Reprisals”, in Netherlands Yearbook of International Law, 1989, pp. 35-70. KALSHOVEN Frits, Belligerent Reprisals, Geneva, Henry-Dunant Institute, Leiden, A. W. Sijthoff, 1971, 389 pp. NEWTON Michael A., “Reconsidering Reprisals”, in Duke Journal of Comparative and International Law, Vol. 20, No. 3, 2010, pp. 361-388. SUTTER Philip, “The Continuing Role for Belligerent Reprisals”, in Journal of Conflict and Security, Vol. 13, No. 1, 2008, pp. 93-122. HAMPSON Françoise, “Belligerent Reprisals and the 1977 Protocols to the Geneva Conventions of 1949”, in ICLQ, Vol. 37/4, 1988, pp. 818-843. NAHLIK Stanislaw E., “Le problème des représailles à la lumière des travaux de la Conférence diplomatique sur le droit humanitaire”, in RGDIP, Vol. 82, 1978, pp. 130-169. As of December 2010, 71 States Parties have made such a declaration comparable to the optional clause of compulsory jurisdiction under Art. 36(2) of the Statute of the International Court of Justice.